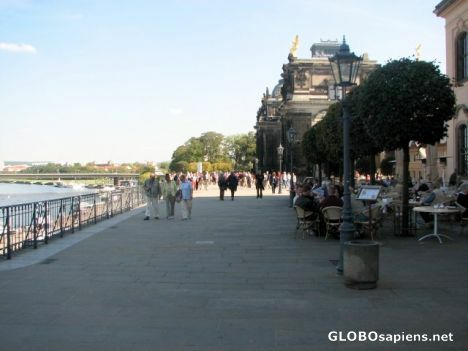 A 500 yard long elevated promenade overlooking the Elbe River and Neustadt built on centuries-old fortifications where the first porcelain in Europe was created. Strolling and people-watching is for locals and tourists alike, with an upscale cafe and a square stand of mature linden trees along the way. Count Heinrich von Bruhl, after whom the terrace is named, was curator of the Wetting art collection but is most famous for dreaming up the first VAT tax.